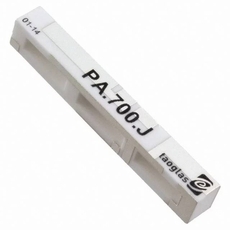 This revolutionary patent pending PA.700J is a 2G/3G/4G high efficiency SMD ceramic antenna operating at 700MHz to 960MHz, 1400MHz to 2600MHz to cover all LTE frequency bands applied in Japan. It uses high grade ceramics to deliver the highest efficiencies on all bands on the shortest device ground-plane lengths possible. The exceptional wide-band response means it covers all standardly used operation bands around the globe.